We’ve included a few full-sized photos of the stacking drawer organizer sets so you can see the items close up. Click on any image to enlarge it for a detailed view. 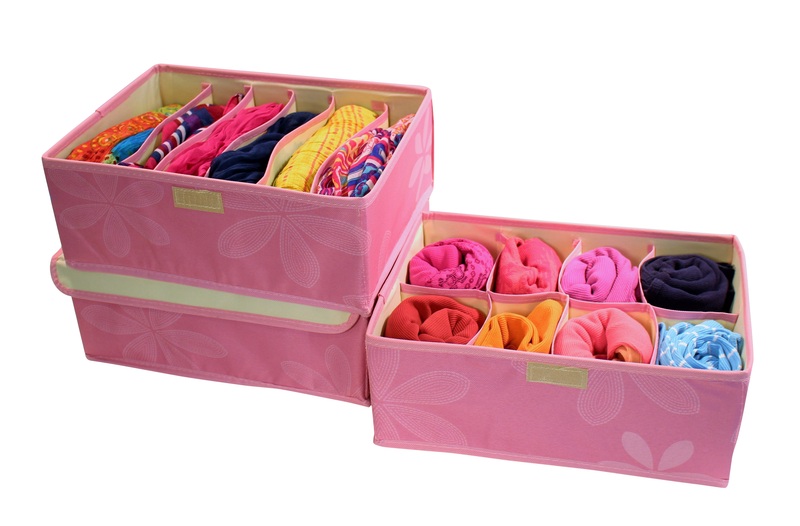 The 18 cell drawer organizer is perfect for storing underwear, socks and smaller items in a neat and tidy fashion. The waterproof cover can be folded under to display the items in a drawer, or closed securely with a velcro tab. 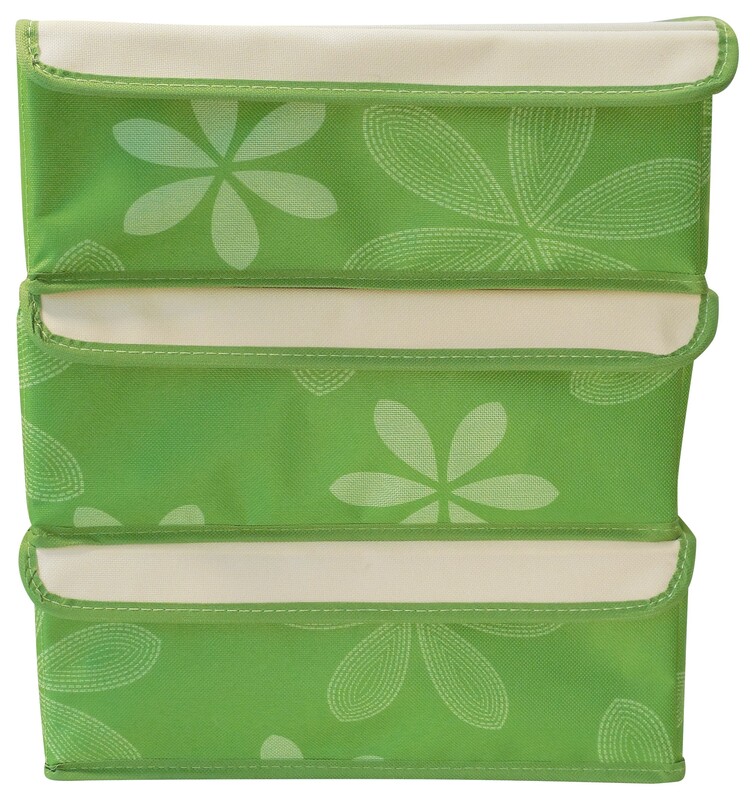 The 3 piece set also includes a 6 and 8 compartment design great for organizing all kinds of delicate items including lingerie, baby clothes, larger socks, tank tops, bras, scarves and ties. 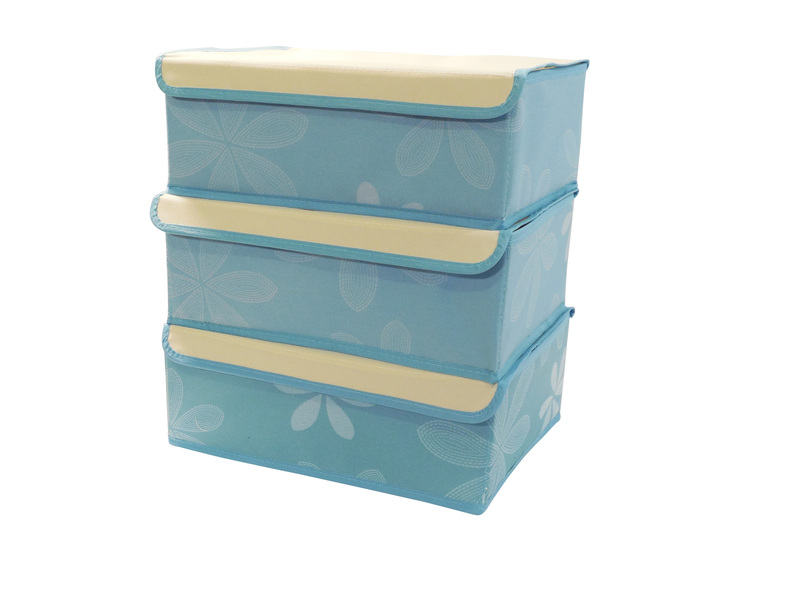 Each organizer has a pretty floral pattern which looks great with any decor. 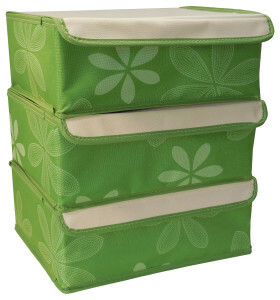 The organizers can be stacked in a corner or closet to give you more storage space in the bedroom. 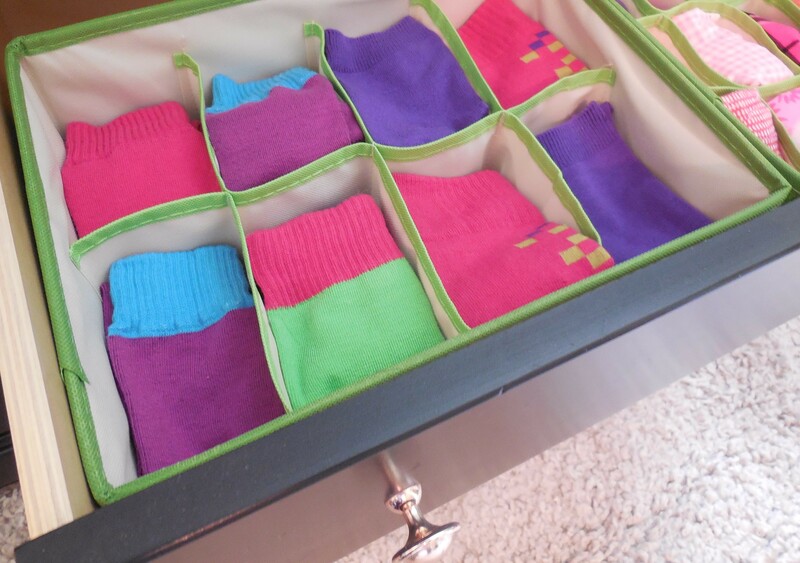 Inside your drawer, you will see just a pop of color as the inside of each organizer is a neutral cream color. Our organizers are deeper than most at 4.72 inches and are just the right height to keep your drawers neat while maximizing your storage space. With just a touch of color showing, they blend nicely with all types of furniture. 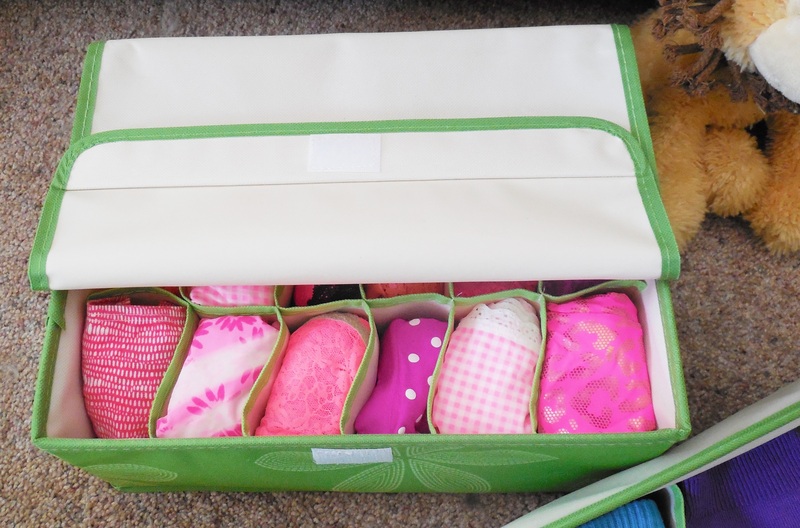 Each organizer has an attached cover which can be shut tight with a velcro closure. For added protection, the inner material is waterproof to protect against accidental spills and keep your garments safe. Available in multiple colors to suit any decor. 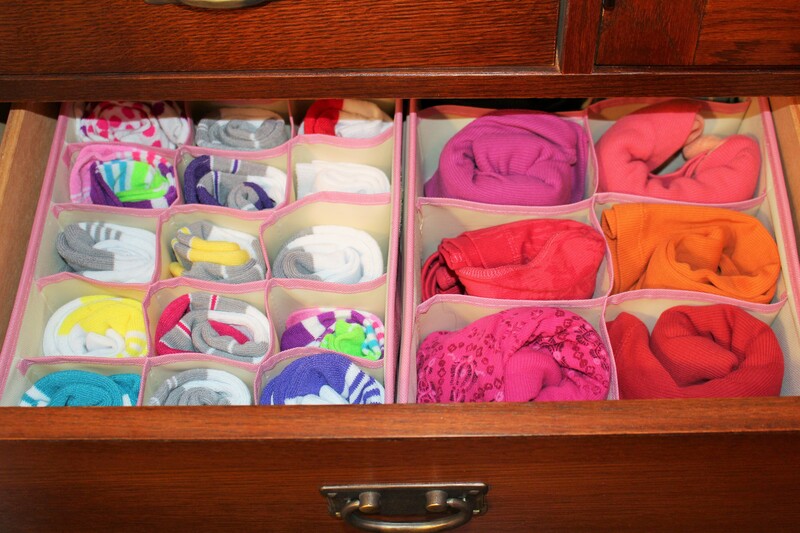 Organize your life and keep the clutter at a minimum with one or more sets of the deep drawer clothes drawer organizers. Not only will they expand your storage space, but having everything in it’s proper place will save you plenty of time getting ready each day. Isn’t it time to simplify your life? 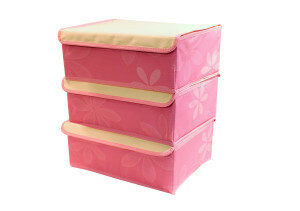 Purchase your clothing drawer organizer set today. Available exclusively at Amazon.com.